Roll of alternating 6 inch red and 6 inch white (or Solid White depending on the selection), highly reflective, microprismatic sheeting with pressure sensitive adhesive for easy application to trucks, trailers and large vehicles to enhance visibility and detection distance. Durable and rigid for easy application, 7 years non-prorated warranty, vivid colors with bright white ensures maximum reflectivity and superior daytime color. 3M™ Diamond Grade™ Conspicuity Tape is six times brighter than conventional markings. 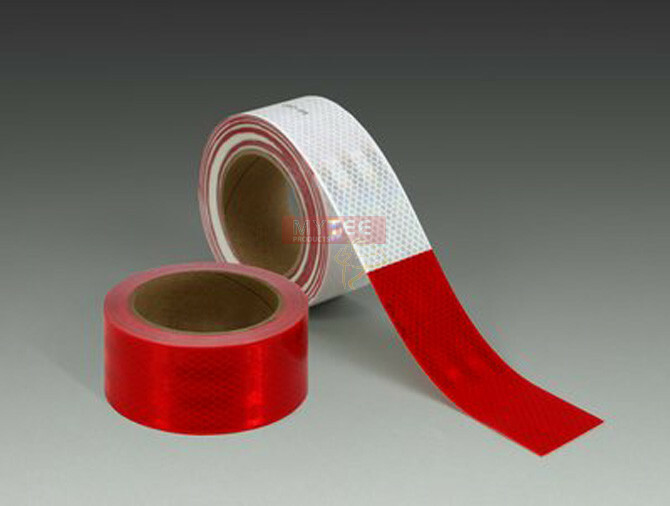 It is the ideal truck tape to use to meet the DOT regulation. 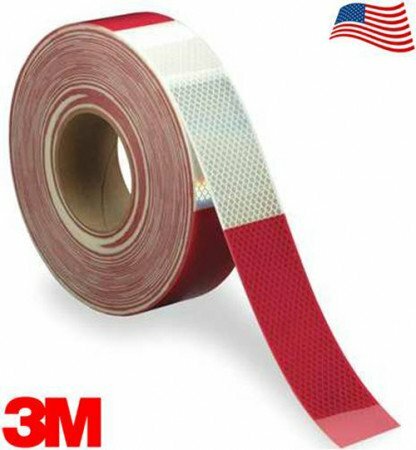 3M's DOT reflective tape is highly durable and non-corroding.